Techie Anish's Blog: Bringing all your clouds together: Facebook, Drive, Box, Dropbox and more! 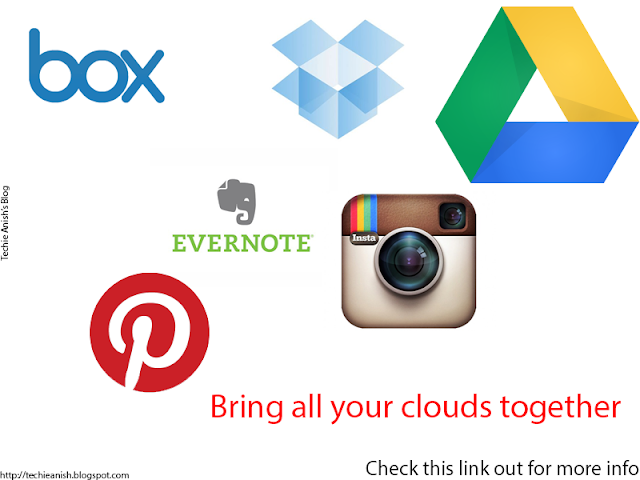 Bringing all your clouds together: Facebook, Drive, Box, Dropbox and more! Well, Dropbox provides you 2GB, Box 5GB, Google Drive 5Gb, SkyDrive 5GB, Youtube is where you upload all your videos, Evernote is where you take notes. All these are located in different web addresses and you obviously need several tabs. And there is nothing unifying all these things under one roof and you need to keep switching tabs everytime. What if all these services that we use regularly come under one hood! 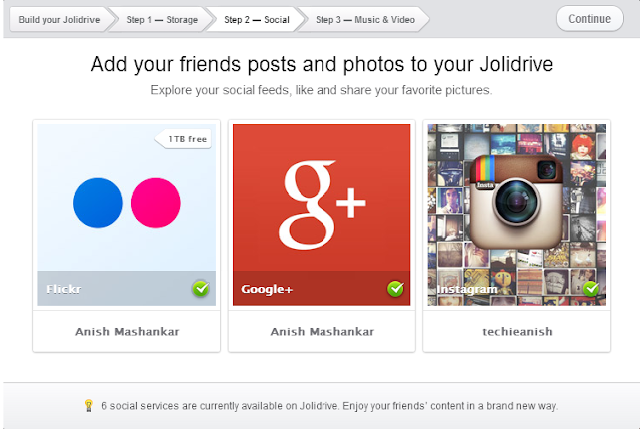 Well, Jolidrive does that work. 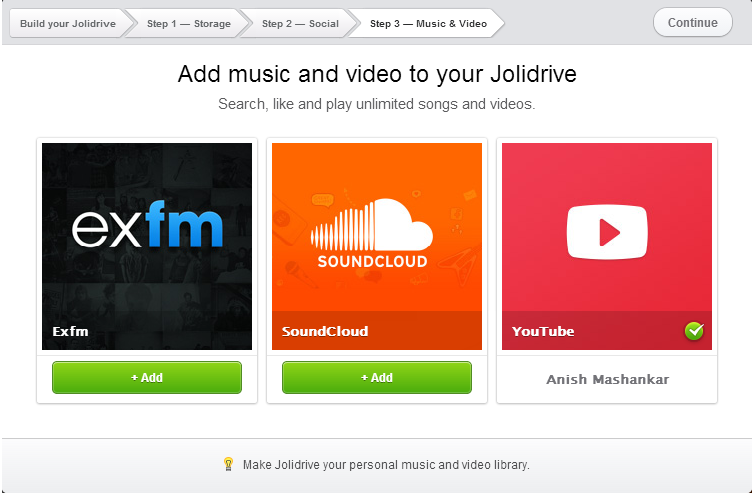 In this tutorial, I will show you how you can set up a Jolidrive account and bring all your clouds together! Now, the following is a step by step guide on how to connect all your cloud services using Jolidrive, a product of Jolicloud. 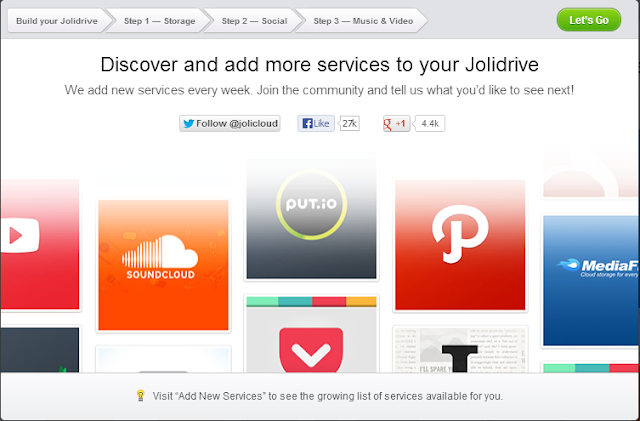 Finally keep adding your services Soundcloud, Mediafire, and whatever else you own and wanna bring it under your hood and on your Jolidrive!